The HTC founded in 1997 as a laptop manufacturer company. The HTC is Taiwan-based HTC which soon began making smartphones based on the Windows Mobile and Brew. The HTC released their first commercial Android smartphone in 2008, and now they manufacture both Android and Windows based smartphones. The HTC entered into the Tablet market with the Google Nexus 9 in 2014. The HTC U11 launched in May 2017. The HTC U11 comes with the 5.50-inch Touchscreen display and with the resolution of 1440 pixels and 2560 pixels. The HTC U11 ran the 7.1 Android version and powered with the 3000mAh non-removable battery. The HTC U11 equipped with the 2.45GHz octa-core Qualcomm Snapdragon 835 processor. The phone comes with the 4GB RAM. The HTC U11 has the 12-ultrapixel primary camera and 16-megapixel selfies camera. The HTC U11 packs with the 64GB internal storage, and it is expandable up to 200GB via MicroSD card. The HTC U11 is a Dual SIM phone which accepts Nano-SIM in both the slots. The connectivity options include GPS, USB OTG, Bluetooth, NFC, Wi-Fi and 3G and 4G. The HTC U Ultra launched in January 2017. The HTC U Ultra comes with the 5.70-inch Touchscreen display and with the resolution of 1440 pixels and 2560 pixels. The HTC U Ultra ran the 7.0 Android version and powered with the 3000mAh non-removable battery. 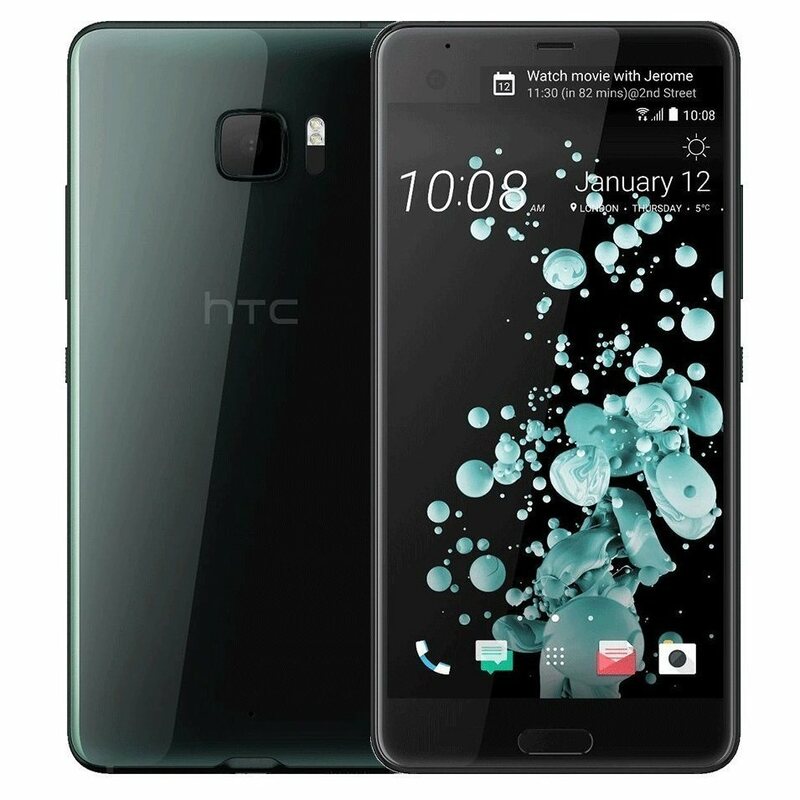 The HTC U Ultra powered by the 2.15GHz quad-core Qualcomm Snapdragon 821 processor. The phone comes with the 4GB RAM. The HTC U Ultra has the 12-ultrapixel primary camera and 16-megapixel selfies camera. The HTC U Ultra packs with the 64GB internal storage, and it is expandable up to 200GB via MicroSD card. The HTC U Ultra is a Dual SIM phone which accepts Nano-SIM in both the slots. The connectivity options include GPS, USB OTG, Bluetooth, NFC, Wi-Fi and 3G and 4G. The HTC U Play launched in January 2017. The HTC U Play comes with the 5.20-inch Touchscreen display and with the resolution of 1080 pixels and 1920 pixels. The HTC U Play ran the 6.0 Android version and powered with the 2500mAh non-removable battery. The HTC U Play equipped with the 1.95GHz octa-core MediaTek Helio P10 processor. The phone comes with the 4GB RAM. The HTC U Ultra has the 16-megapixel primary camera and 16-megapixel selfies camera. The HTC U Play packs with the 64GB internal storage, and it is expandable up to 200GB via MicroSD card. The HTC U-Play is a Dual SIM phone which accepts Nano-SIM in both the slots. The connectivity options include GPS, USB OTG, Bluetooth, NFC, Wi-Fi and 3G and 4G. The HTC 10 comes with the 5.20-inch Touchscreen display and with the resolution of 1440 pixels and 2560 pixels. The HTC 10 ran the 6.0 Android version and powered with the 3000mAh non-removable battery. The HTC 10 equipped with the 1.6GHz quad-core Qualcomm 820 processor. The phone comes with the 4GB RAM. The HTC 10 has the 12-megapixel primary camera and 5-megapixel selfies camera. The HTC 10 packs with the 32GB internal storage and it is expandable up to 200GB via MicroSD card. The HTC 10 is a single SIM phone which accepts Nano-SIM. The connectivity options include GPS, USB OTG, Bluetooth, NFC, Wi-Fi and 3G and 4G. The HTC 10 Evo comes with the 5.50-inch Touchscreen display and with the resolution of 1440 pixels and 2560 pixels. The HTC 10 Evo ran the 7.0 Android version and powered with the 3200mAh non-removable battery. The HTC 10 Evo equipped with the octa-core Qualcomm 810 processor. The phone comes with the 3GB RAM. The HTC 10 Evo has the 16-megapixel primary camera and 8-megapixel selfies camera. The HTC 10 Evo packs with the 32GB internal storage, and it is expandable up to 200GB via MicroSD card. The HTC 10 Evo is a single SIM phone which accepts Nano-SIM. The connectivity options include GPS, USB OTG, Bluetooth, NFC, Wi-Fi and 3G and 4G.